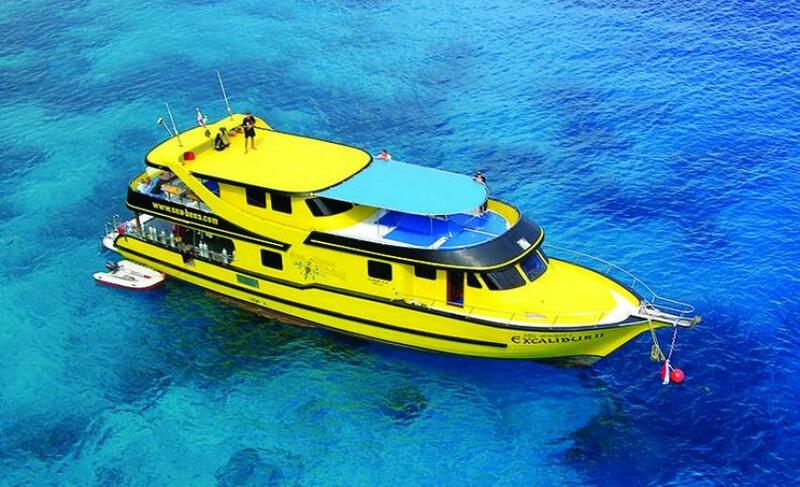 "MV Excalibur II" - 23m daytrip boat. On the lower deck you’ll find two equipment rooms. In the first you can safely store and dry your own equipment. On the expansive dive deck, each diver has their own area, complete with two filled tanks and a storage box for your gear. After diving, you can hang your wetsuit to dry and rinse your equipment with our on-board freshwater tanks. 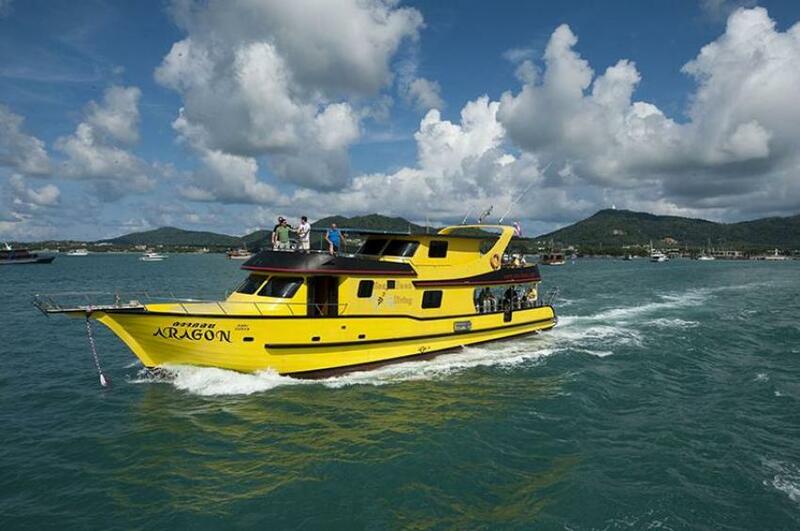 The “MV Excalibur II” also features two shower cubicles and a western-style toilet with sink. The “MV Aragon” is the sister-ship of the “MV Excalibur II”. The biggest difference between both boats is the sleeping area on the lower deck. 12 bunk beds, divided into 6 compartments, offer our guests a comfortable place to rest on our trips to the South of Thailand. The spacious dive deck offers plenty of room for each diver and their gear, and our diving platform ensures a safe entry and exit from the water.